Do you love a good Chinese meal? 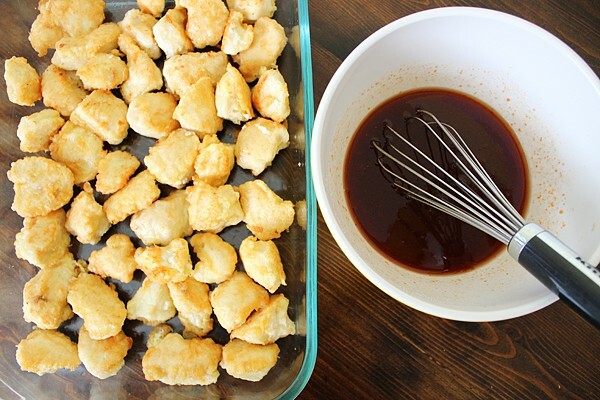 Then you will love this sweet & sour chicken recipe. Oh and guess what, it’s easy… Don’t you love easy recipes. 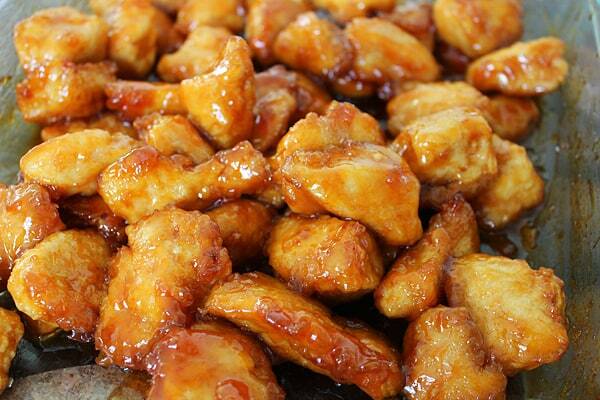 I find this recipe to be between orange chicken and sweet & sour chicken in it’s taste. So if you love both or one you should give it a try. Cut the chicken breasts into 1-inch pieces. Season with salt and pepper. Place the cornstarch in a gallon-sized ziploc bag. Put the chicken into the bag with the cornstarch and seal, tossing to coat the chicken. 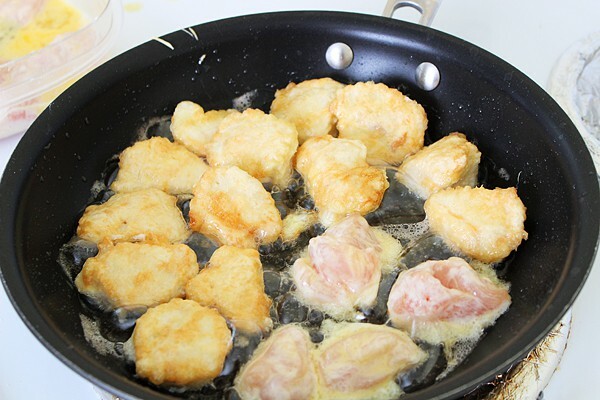 After coating your chicken pieces you will then fry them in oil. The first time I made this recipe, I could not believe that you coat your chicken in cornstarch. 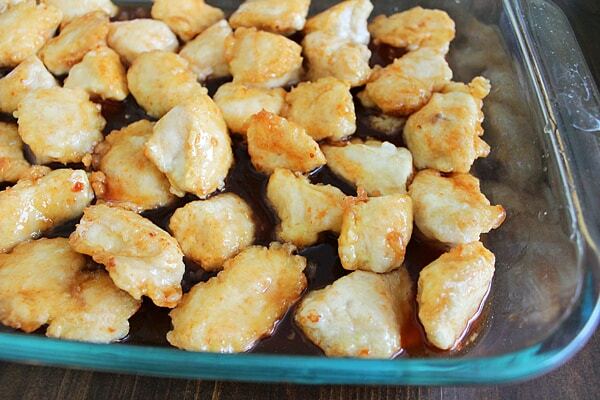 After all your chicken pieces are fried, place them into a baking dish and mix the sauce ingredients together. Pour your sauce onto the chicken. Then after baking in the oven your sweet and sour chicken is all ready to eat.